different people as I grew my company. “My time at Greenwich gave me confidence in how to deal with different people as I grew my company. The communication skills I developed have been a great help. Partnership maker. Educator. Global traveller. 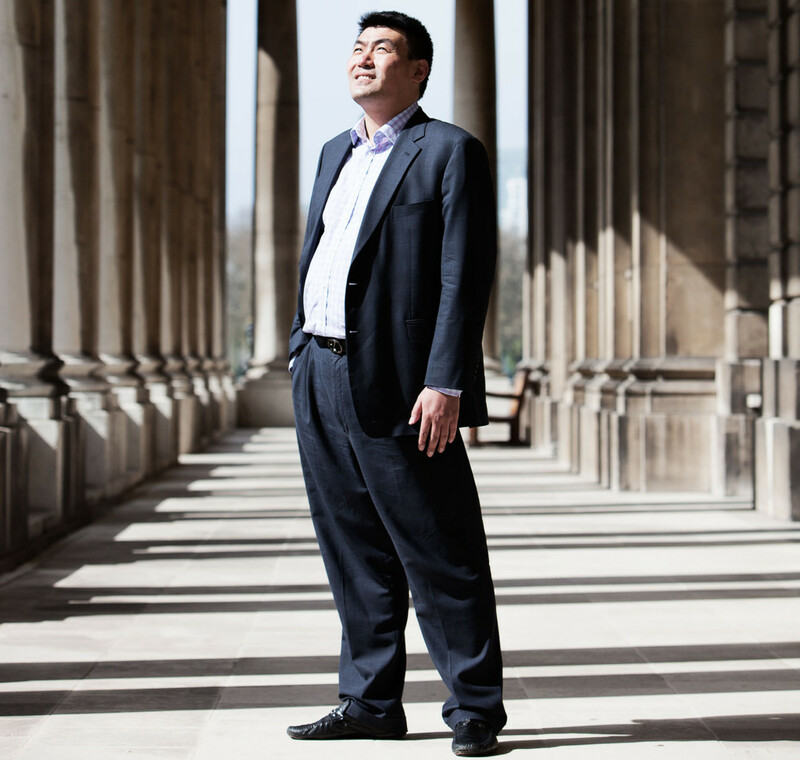 At the age of just 23 and immediately after completing his studies at Greenwich, Bao Chenming set up a student recruitment office in Shanghai and became the university’s chief representative in China. At that time, in 2002, around 40 students from China came to Greenwich each year. Under Ming’s direction the numbers have now risen to 350, making Chinese students the university’s largest international community. Ming has given Greenwich a connection to China that is built to last, focusing on partnerships with Chinese universities. A number of leading Chinese institutions have now been working with the university for over ten years, steadily bringing more students to Greenwich. Now known as the Achieve Education group, in 2014 Ming’s company deepened its ties to the UK when it acquired Chase Grammar School, an independent school in Staffordshire. Ming has become the school’s Director, setting about maintaining its high rankings and enabling more international students to experience a British education. It was also a time that fed Ming’s love for travel. His favourites include Malaysia and Singapore, but London retains a strong place in his heart. “My time at Greenwich gave me confidence in how to deal with different people as I grew my company. The communication skills I developed have been a great help”.